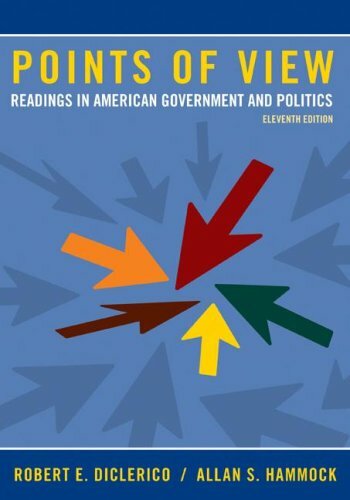 The eleventh edition of "Points of View: Readings in American Government and Politics" provides instructors and students with a manageable and accessible selection of readings that present succinct, thoughtful, and diverse perspectives across a broad range of issues in American Government today. This comprehensive reader features contrasting viewpoints on current political debates and traditional topics of interest in contemporary American Government courses. By providing two opposing positions for each topic, "Points of View" challenges students to examine and appreciate differing perspectives. The Federal Unfunded Mandates Reform Act: "Lost in the Weeds"
Gay Marriage: A Matter for the States or the Federal Government? Power in America: Who Has the Power? All Hail ... King George? What Did the Founding Fathers Intend? "We're in the Fight of Our Lives"